A PROGRESSIVE DRUGS initiative that began life in the country’s universities has a high-profile backer. 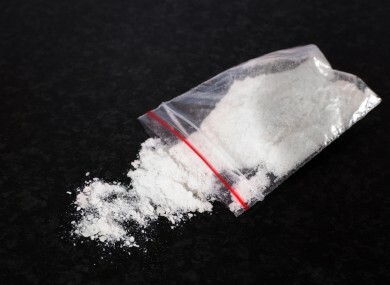 The Lord Mayor of Dublin Criona Ni Dhalaigh has given her support to the ‘What’s in the Powder?’ campaign, aimed at making those who take drugs more aware of what’s in them. It is the brainchild of a collaboration between universities DIT, TCD and UCD and the Ana Liffey Drug Project. Resources and a factsheet will now be distributed around on campuses and promoted on social media and the website drugs.ie. While it’s always safest not to use illicit drugs at all, the reality is that people do use drugs. Given that this is the case, they need to be properly informed about the risks and how to reduce the potential for harm. She went on to commend the work that has already been carried out by student welfare officers and the staff of the Ana Liffey Drug Project. This follows on from the ‘Whats in the Pill’ project that the same grouping launched in October of last year. This campaign differs in that it is directly focused on powder taking, something that has come more to prominence with high-profile instances of ‘designer drugs’ doing people severe damage in the past six months. Speaking about the new campaign, director of the Ana Liffey Drug Project Tony Duffin, said: “Each year students arrive through the doors of their third level institutions full of life and looking forward to the future. Part of this is to embrace this new found freedom. For some people, this will involve taking illicit drugs. Those people need clear, accurate and evidence-based communication on this subject. That is what this campaign provides. Email “Dublin Mayor throws weight behind 'What's in the Powder?' drugs campaign”. Feedback on “Dublin Mayor throws weight behind 'What's in the Powder?' drugs campaign”.